I have some beautiful looks from Hourglass Cosmetics to share with you. 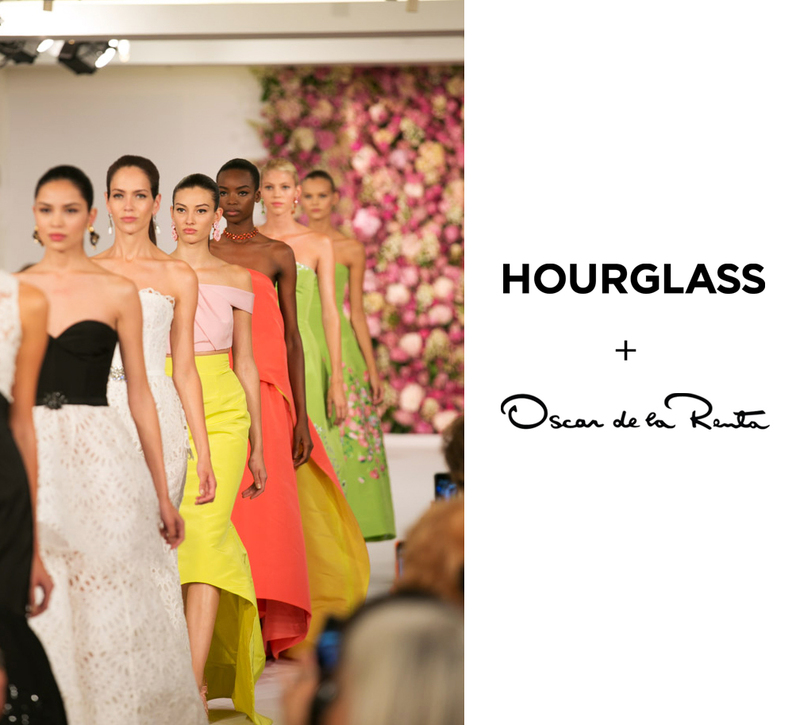 Yesterday, makeup artist Gucci Westman for Hourglass Cosmetics created the fresh polished beauty looks for Oscar de la Renta’s spring/summer 2015 show. The created looks were “pretty, polished and with a dash of modern edge”. Backstage at Tuesday’s show, models flaunted luminous skin, berry-stained lips and striking a slightly rebellious note, dramatic winged liner on the eyes. SKIN: Prep skin with Hourglass Veil Mineral Primer and follow with Hourglass Illusion Hyaluronic Skin Tint for a luminous complexion. Conceal any dark circles or imperfections with Hourglass Hidden Corrective Concealer. CHEEKS: Create a seamless, soft-focus glow with Hourglass Ambient Lighting Palette. 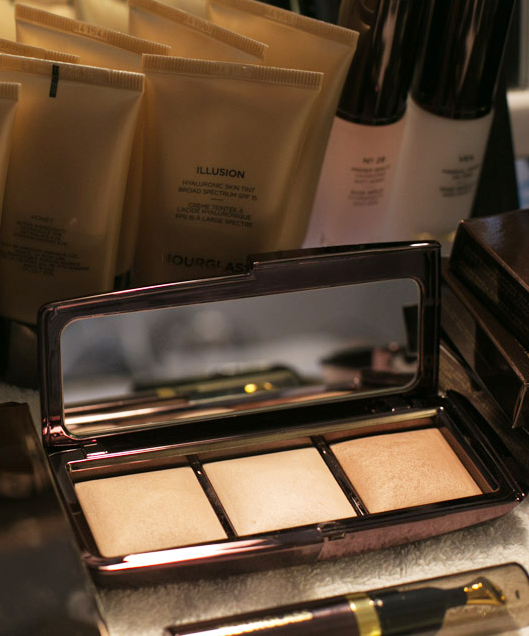 Lightly contour with Radiant Light, a sun-kissed golden beige. 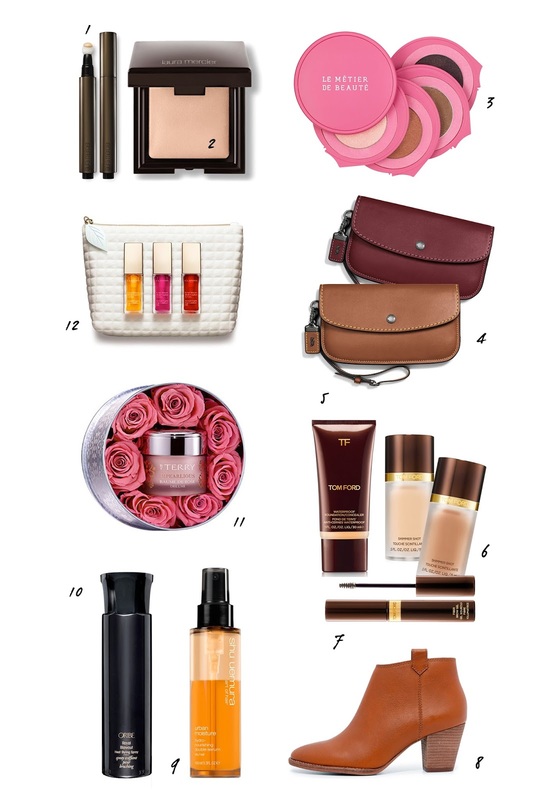 Then apply Ambient Lighting Blush in Diffused Heat, a vibrant poppy shade, to the apples of the cheek. Finish up by highlighting with Incandescent Light, a pearlescent shade. EYES: Sweep Hourglass Calligraphy Liquid Eye Liner along the upper lash line, flicking the liner up and out. Repeat the application to create a thicker line. Follow with Hourglass 1.5mm Mechanical Gel Eye Liner to enhance the black tone. Finish up with two or three coats of Hourglass Film Noir Mascara on the top lashes. BROWS: Perfect arches with Hourglass Arch Brow Sculpting Pencil. 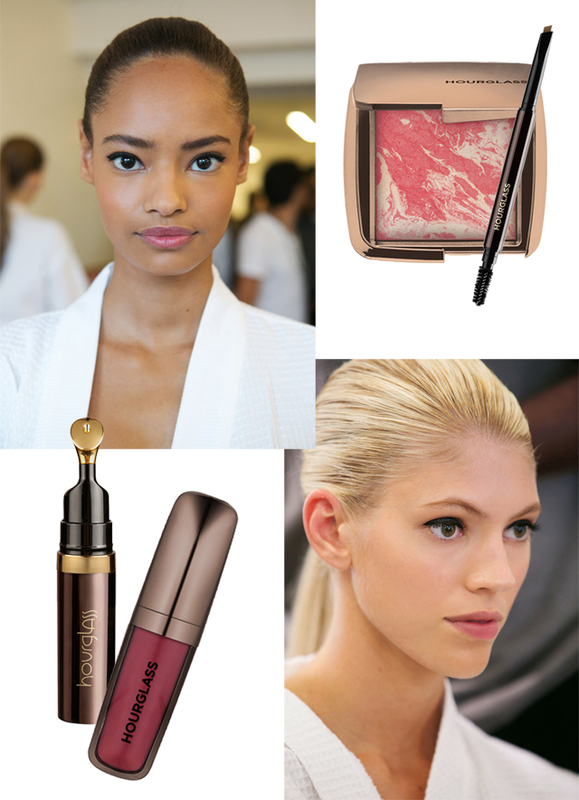 LIPS: Prep lips earlier with Hourglass No. 28 Lip Treatment Oil. Apply Hourglass Opaque Rouge Lipstick in Empress, a deep aubergine shade, and use your fingers to diffuse the color. Finish with a dab of Hourglass No. 28 Lip Treatment Oil for a subtle sheen. Images sent courtesy of Hourglass Cosmetics and @gucciwestman’s instagram. Photo credits go to Thaddeus Rombauer.